How do you make a VP of Sales smile? Show her how to increase her team’s win rate by an average of 29% with a few minor changes in how her team uses social networking. In the quest to better understand the value of social selling, we studied the impact specific social selling activities had on closing deals. To identify high impact activities, we compared win rates of deals with high frequency social selling actions to win rates of non-social selling deals. 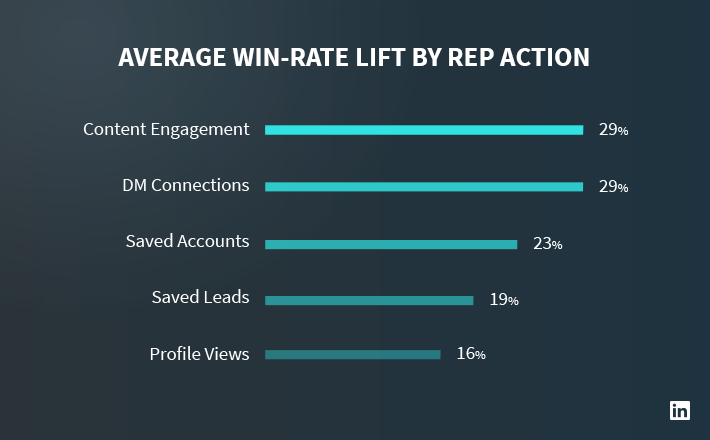 In one example from our results, we found sales professionals who connect directly with decision makers and engage with their content see lift in win rates by 29% on average. For many sales organizations, this could be a real jolt to the bottom line. If your win rate is 50% (an enviable accomplishment) without social selling actions, then having a DM connection to a target account could lift your win rate to 65% (50% X (1+ activity win-rate lift)). 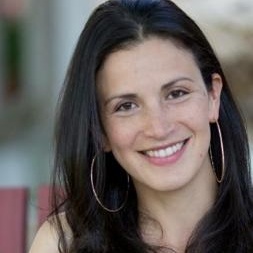 Connecting with people on LinkedIn and translating connections into concrete ROI, however, is a multi-layered process. Customers have grown accustomed to personalized experiences and expect sales professionals to have a basic understanding of who they are before they reach out. This requires sellers to be proactive in leveraging the insights available on social media to increase their chances of connecting with prospects. One simple tactic is to find common ground. In fact, one of our previous studies revealed that having at least one common connection with a prospect increased InMail acceptance rate by 45% and having attended the same school increased it by 37%. In the absence of pre-established commonalities, sellers can still build a trusted relationship with their prospective clients by signaling interest in them and what they care about. 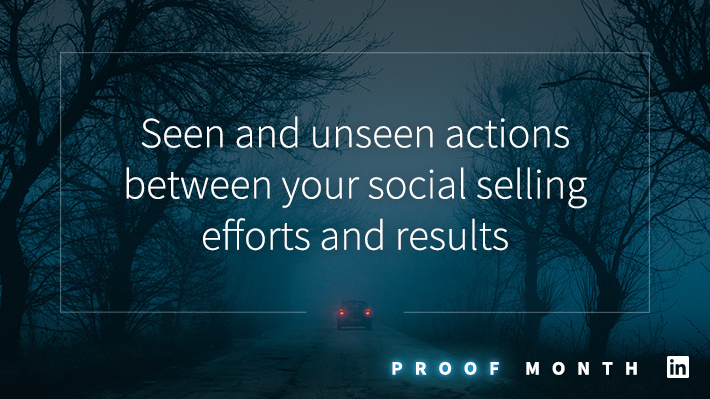 Even high occurrence activities see better win rates than not having any social selling at all. On average, a profile view occurs in nearly one-third of all opportunities analyzed. These activities still see a 16% lift when compared to deals without any social selling. This study shows that sales professionals who nurture their accounts are more successful. In fact, these actions align with a typical sales funnel: View someone’s profile and then save them as a lead so that you can nurture that lead by combining content marketing and direct engagement. By viewing a lead’s current activity on their profile, you can see the content they are sharing, which might indicate their interests, likes, or needs. It could also help you connect with that lead by using discovered insights as conversational icebreakers. The bottom line is, the more your team uses social selling actions to nurture leads and accounts, the more likely it is that the deal will ultimately close. The question has never been whether networking was relevant to streamlining the sales cycle but rather how can you quantify its impact. If you ever wondered what a profile view could do for you, now you know it could lead to connecting with the decision maker who can get the deal done. Do you know which sales activities have the biggest effect on your team’s win rates? You can. Download Proof Positive: How to Easily Measure and Maximize Sales ROI to learn how.